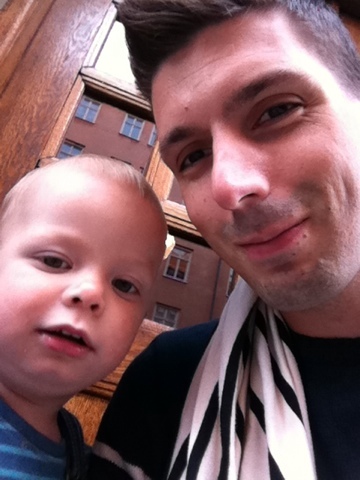 28 augusti 2011 | In Meta-philosophy parenting Psychology Self-indulgence | Comments? Most blogs are abandoned within a year, according to statistics that I just made up. Due to distractions, lack of readers or time, or just the failure to make blogging part of the unforced everyday writing that just sort of happens in a writing person’s life. The sort of writing that doesn’t take more time than it does to read it. Just thinking in a slightly more public medium. What I’m saying is that I intend to, and kind of think I ought to. Just not when it competes with the much superior activity of hanging with this guy.